What are the requirements for getting licensed? What does it mean that Licensees must convey to their students that any student evaluations conducted as part of Licensee’s training or mentoring program are not equivalent to success in the IAC Certification™ process? What are some ways to help students understand IAC certification requirements without screening or vetting their individual coaching recordings? May I translate the The Coaching Masteries® into my native language? Any current member of the IAC® (individual or organization) who agrees to and signs the license agreement and pays the annual fees. In addition, Licensees must have achieved the status of Masteries Practitioner or IAC® Certified Coach, and have an approved Masteries Professional Development Plan. Must be a current member of the IAC® in good standing. Must sign a one-year licensing agreement, renewed annually. Must be a Masteries Practitioner or IAC® Certified Coach, and have an approved Masteries Professional Development Plan. IAC® Masteries License Royalty Option B – $850.00 annually – Individual providing products or programs to members that are approved Licensees, and that have a coaching training business. IAC® Masteries License Royalty Option C – $1,500.00 annually (universities and institutes of post-secondary learning). Must convey to their students that any student evaluations conducted as part of Licensee’s training or mentoring program are not equivalent to success in the IAC Certification™ process. See Licensing Agreement/Payment for more details on licensing requirements. 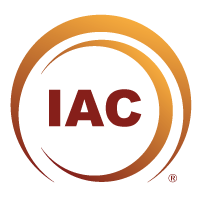 Permission to use The IAC Coaching Masteries® to teach and/or assist students or clients to become IAC® certified. Opportunity to leverage the IAC®’s high-quality, validated and efficient coaching certification process to further advocate for excellence in individual coaching skills and professionalism in the field of coaching. Professional listing on the IAC®’s website, a targeted placement for reaching coaching students and mentees. Opportunity to publish articles that promote your professional expertise to IAC® members and website visitors. Licensees are not permitted to indicate whether a specific coaching recording is likely to pass or fail the IAC Certification™ process. Licensees are permitted to develop their own methods of evaluation in order to advance learning, but may not represent their methods as the same as those standards applied by IAC® certifiers. What are some ways to help students understand IAC Certification™ requirements without screening or vetting their individual coaching recordings? Teach students to assess and score their own and others’ recordings using The Coaching Masteries®. Demonstrate coaching evaluation using short excerpts of recordings to be submitted for certification. Identify strengths and weaknesses in student recordings without indicating whether they would pass or fail. Offer contrasting coaching examples for each mastery that might receive high or low scores from IAC® certifiers. Encourage students to gather opinions on their recordings from other coaches. 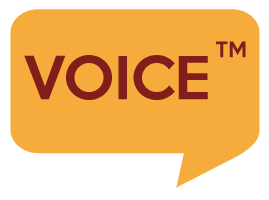 Reinforce that students must take responsibility for their own recordings and certification submission process. May I translate The Coaching Masteries® into my native language? Official language translations of The Coaching Masteries® are available through your Member Dashboard. (You must be logged in to access your dashboard.) If translation in a particular language is not available, Licensees must obtain permission from IAC® to create an official translation, subject to final review by IAC® before distributing. The Certification Board has a comprehensive and detailed scoring methodology for determining whether or not applicants’ recordings will pass. This methodology was tested for internal consistency prior to its application, and certifiers are thoroughly trained to ensure fair and consistent scoring. Learn more about IAC Certification™.